Cake Decor in Cairns: Media Release: CakesDecor Awards: Gravity Defying Cakes WINNERS!! Media Release: CakesDecor Awards: Gravity Defying Cakes WINNERS!! The absolutely exciting part for me was the difference between Winner and Runner-up by just 4 points! Yes that's right! FOUR points!! How flipping fantastic is Nina's cake?? It's so easy to see how her show stopping cake came out on top!! Excuse me a moment while I go look for my jaw that I dropped on the floor! WOW! So um hello?!! I just picked up my jaw and then OMGOSH I fall off my chair looking at Jonathan's cake! How? HOW? I mean really? How does he do it? 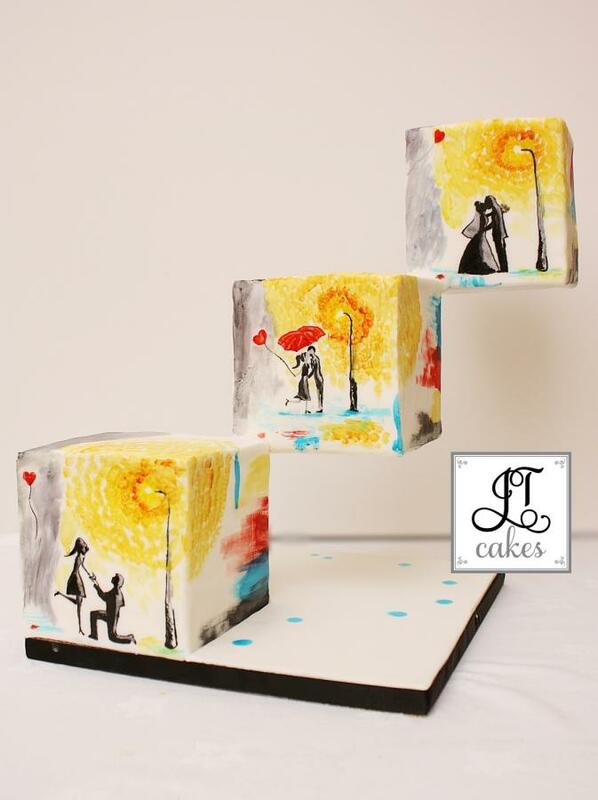 These awe inspiring gravity defying master pieces are becoming a signature of JT Cakes. Haha and you know what? I told him today that each new cake of his, is making me pee my pants!!! I am that amazed!! (Ha ha yep I actually did say that to him!) But I mean come on this cake is absolutely fabulous and each cube is 100% cakey yumminess!! 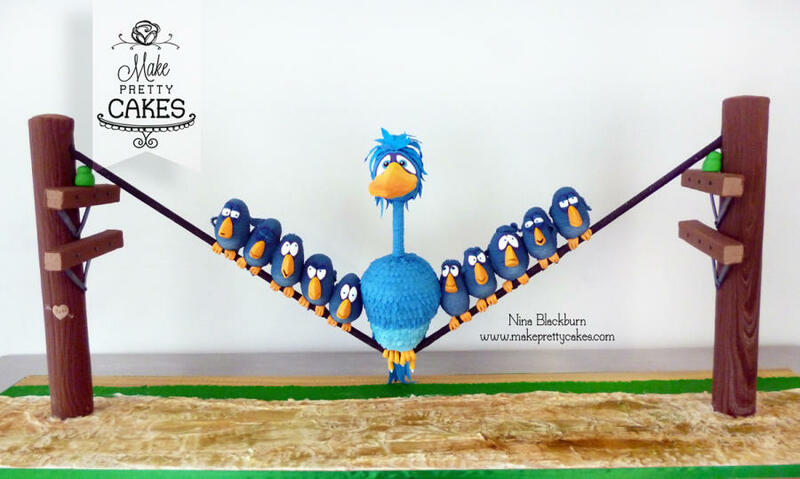 There were so many fantastic cakes submitted and even though I would love to show you them all, it just makes better sense if you go straight to CakesDecor and check them all out yourself! Hold on to your jaws! Trust me you are going to be blown away! Click here to see the complete results! Before I sign off, I just want to give a humongous thank you to cakesdecor.com for having me on-board as their Media Partner for this event!! I can't wait for next year's!! !